Bordeaux Wine 2005 to 2015 Vintage, can lay them down to invest or some vintages are better for drinking. All our prices are including VAT and duty. Chateau Haut-Pougnan Bordeaux spread on the slopes of the right bank of the Garonne, superb clay-limestone soil and gravel. Badine De La Patache Pomerol 2015 and should be consumed between 2018-2025. It began being made in 2015. This Chateau Cantin 2012 seduces us with its intense and brilliant garnet red colour associated with shades of fuchsia. A 2012 vintage from Michael Coudroy, The Chateau Haut-Tropchaud Pomerol is matured in Bordeaux. This 2012 Vintage is Made from grapes grown in Lalande de Pomerol creating a classic French wine. Clos Margalaine Margaux enjoy the same facilities and expertise that Marojallia and is produced from younger vines of the vineyard. Chateau Lalande Saint Julien. 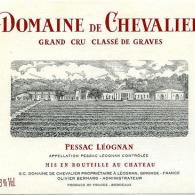 Gutsy and full-bodied Claret offering exceptional value. Chateau Pontet-Canet 2008 wine. Including vat and duty. Give it 5-8 years of cellaring and drink it over the following three decades. Bravo! Chateau Margaux 2007. 1er Cru Classe. This is the most complete and luxurious 2007 Bordeaux is silky tannin, but with more than enough power.